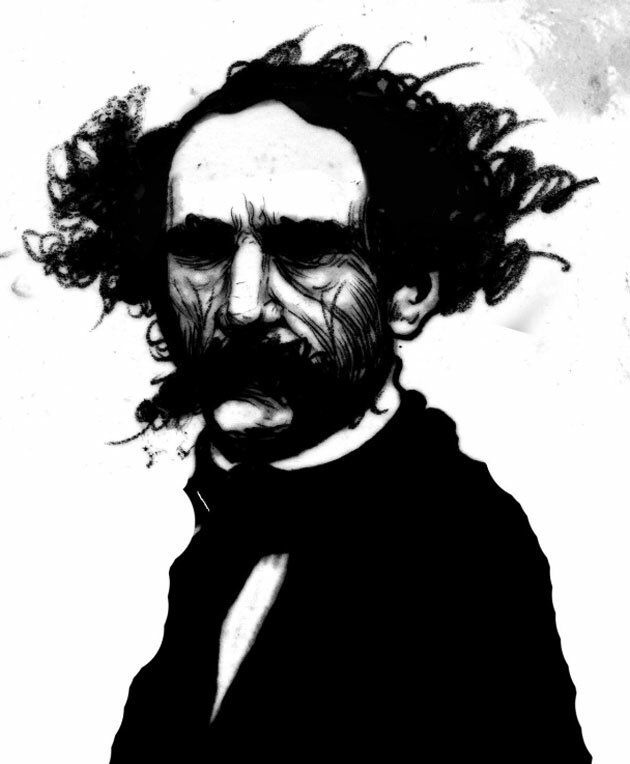 You'd be hard pressed not to have noticed it, but this year is the 200 year anniversary of Charles Dickens' birthday. 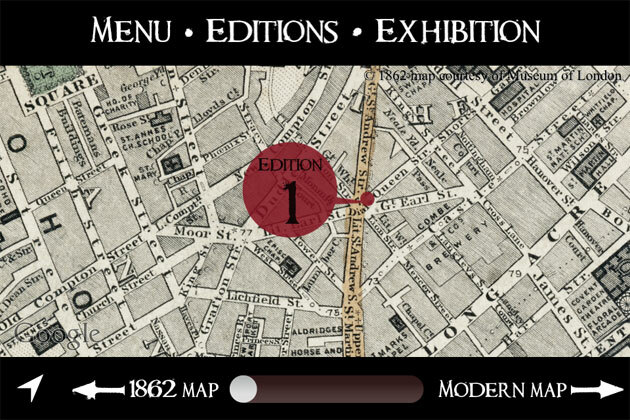 The Museum of London is hosting a major exhibition about his life, and to coincide with that, they've created a rather delicious iPhone & iPad app called Dickens Dark London. 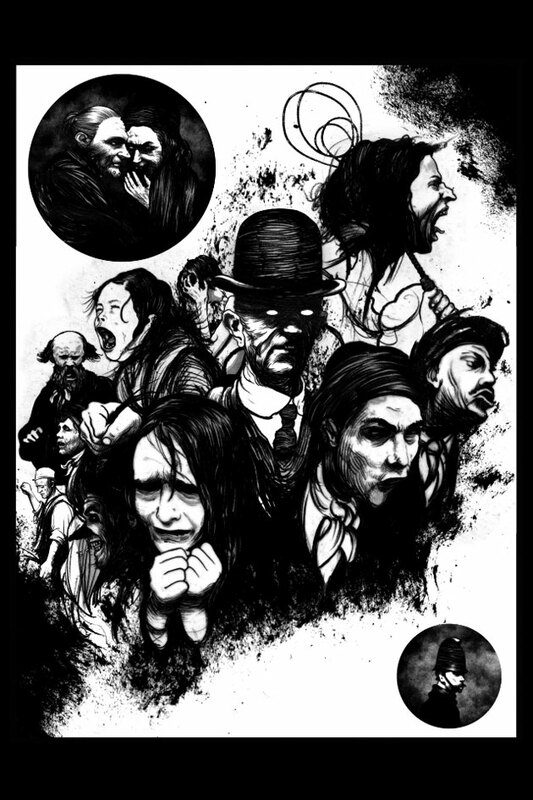 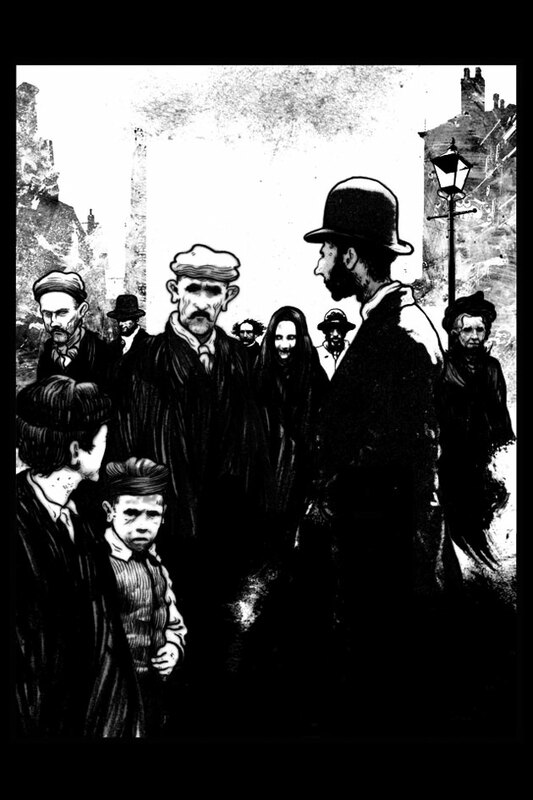 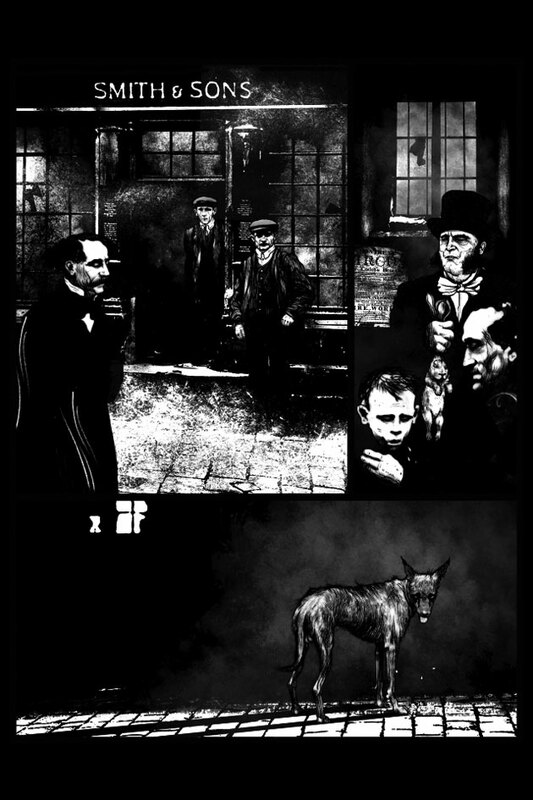 The app is an interactive graphic novel, illustrated by the frankly brilliant David Foldvari, and based on Dickens' Sketches by Boz. 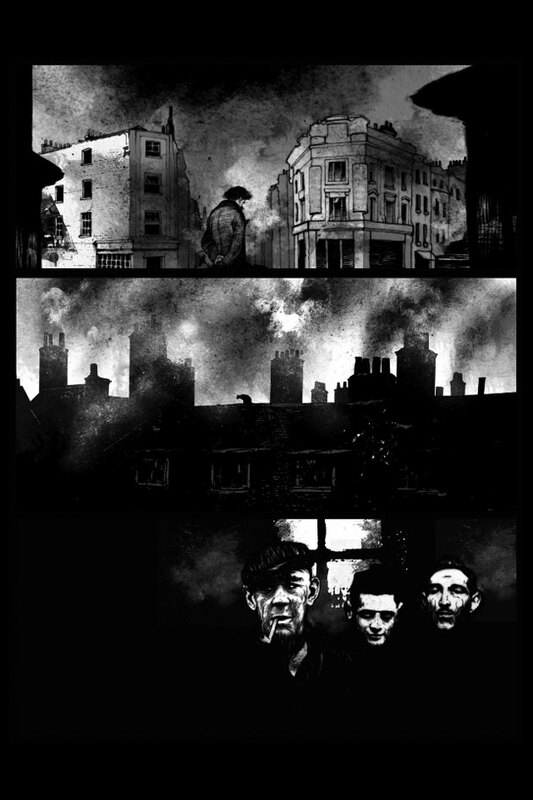 It will run to five issues (just the first one is available so far), each one centred on a different location. 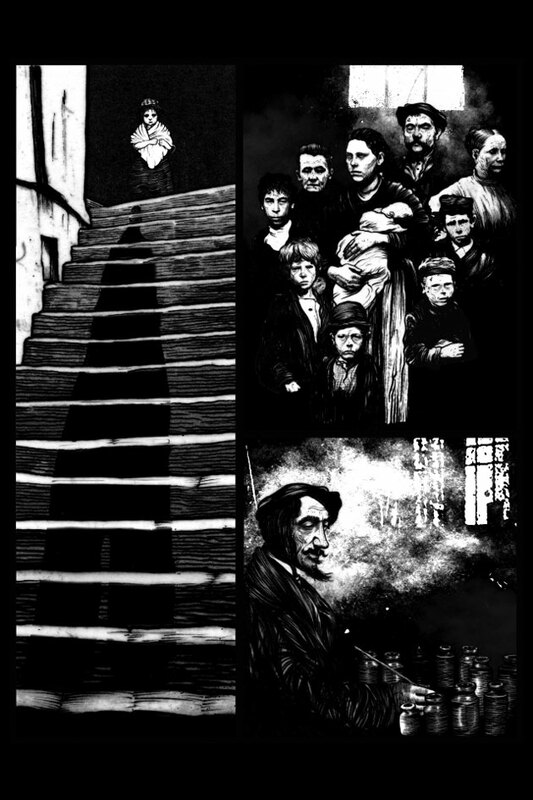 As well as Foldvari's stunning images, the app includes excerpts from the sketches, read in gravelly tones by the actor Mark Strong; as well as a map that shows story locations on a map from 1862, which overlays the standard Google Maps.